Threadlifts have become a reliable part of the cosmetic physician’s armamentarium. They lift and tighten tissue sag, stimulate collagen production and reposition ptotic fat. Threads can create a subtle yet refreshing look. Threads can also safely be combined with other treatment modalities to create a subtle yet refreshed look. The doctors at our Sydney clinic have been offering a variety of threadlifts for many years. Threadlifts are an invaluable alternative for patients who don’t want dermal fillers or who would like to postpone a surgical face lifting procedure. Realistic expectations are paramount. 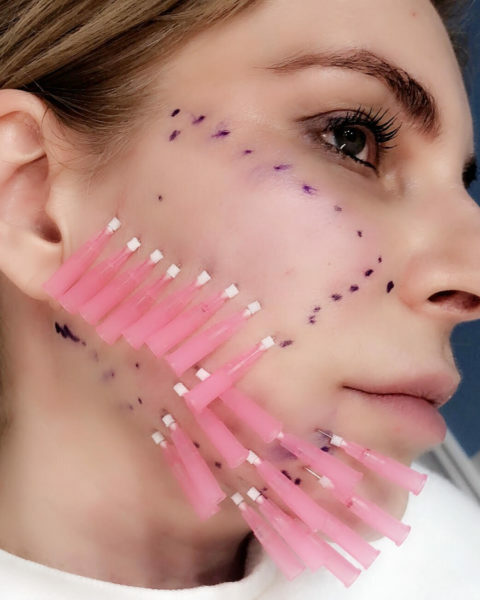 Thread lifting does not replace a surgical facelift, which remains the gold standard for achieving a lift, especially in patients with heavy tissues or excessive skin laxity. The duration of the “lifting effect” correlates with the lifetime of the thread. However, the full effect of a thread lift is a cumulative process, which has 2 phases. 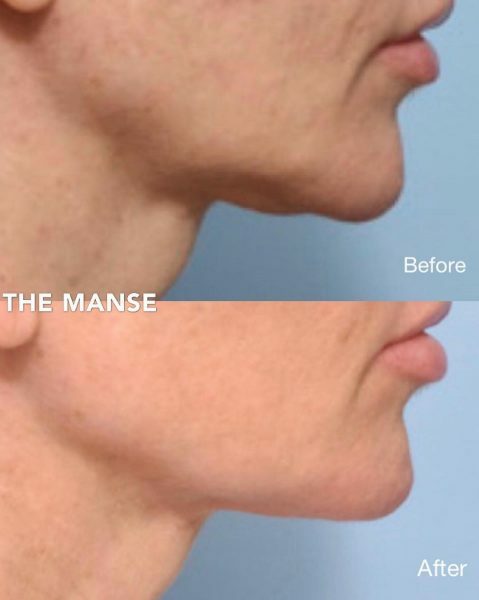 The immediate “lift” due to the redistribution of facial volume plus a mechanical lift (if anchoring threads were employed). This is followed by bio-revitalization and neocollagenesis, which is ongoing until the thread is finally resorbed. The new collagen, however, persists even after the thread is resorbed. Lifting the face with threads is not a new concept; in fact the treatment has been around for more than 20 years. The first threads were made from gold, in 1999 a permanent thread was made from polypropylene and more recently, resorbable threads have been developed. These resorbable threads have created resurgence, in the use and application of facial threads. Resorbable threads consist of mainly polylactic acid/ polycaprolactone and or polydiaxone. Importantly, 2 main thread categories exist and the correct choice depends on what issue(s) the patient wants to address. On average the placement of anchoring threads take an hour, this however depends on a variety of factors i.e. the degree of desired lift. Stimulating threads on the other hand can take as little as 10- 20 minutes, again depending on several factors. As a rule of thumb, the more threads used the better the net result. 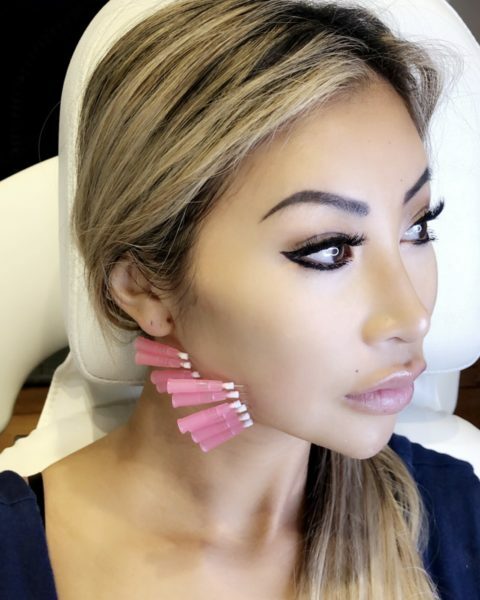 This is due to better volume and stress distribution over multiple (anchoring) threads, the same principle applies for stimulating threads, the more threads placed the higher the degree of scaffolding and collagen stimulation. Where and how many threads advised, will depend on the person’s age, degree of volume loss and their overall skin quality. In the instance of anchoring threads, the lower face often improves with lifting of the upper and midface. However, specific areas like the jowls can be individually targeted. Anchoring threads are more suited to patients that have visible skin laxity and or sagging. Stimulating threads can also be used for either full face and/or targeted areas alone. I like placing them under lines/ wrinkles when they first appear as this retards their development to deep lines and folds dramatically. There are both anticipated and unexpected complications. Thread lifting is minimally invasive and do not require a general anesthetic. There is no cutting of the skin and all threads are inserted through needlepoint entries, which don’t leave any scars. Modern threads are resorbable so they breakdown over varying periods of 6 months to 2 years. Patients can then either repeat their procedure or proceed to a surgical lift. Consultation at initial visit: during this visit the patients’ concerns and whether a thread lift is a suitable option will be examined. A thorough medical history will be taken and the procedure, possible complications and after care will also be discussed. The consent form is discussed and signed by provider and patient. Then the patients face is cleaned and their hair is tied back. Pre-procedural photographs follow this. Topical anesthetic is applied to the face/neck for stimulating threads. Once the face is adequately anaesthetized the topical is wiped off. If anchoring threads are being used, the entry and exit points will be anaesthetized with injectable local anesthetic. The patient is then returned to a sitting position, assessed for asymmetry, and then the face is wiped down again with chlorhexidine. The patient then proceeds to spend 30 minutes under the Healite, which is very comforting and relaxing. It also reduces the swelling and accelerates their recovery. After care is once again discussed and follow up appointments are scheduled. Paracetamol can be used, but Nurofen/Asprin should be avoided. These recommendations should be followed stringently in the instance of anchoring threads. “Downtime” is unique to each person and their individual circumstances. With anchoring threads we warn people that bruising, swelling and possible puckering can take up to 5 days to settle. Regardless, some people are back at work the next day whilst others will only feel comfortable after a full week or more. The degree of swelling/ bruising and puckering will depend on the type and quantity of threads placed for instance; floating threads require very little to no downtime. Individual patient factors i.e. bleeding tendencies/ medications/ age/ skin quality and others will also impact healing time. Can a patient have multiple threadlifts? Patients are able to have multiple threadlifts in their life. Certainly, stimulating threads are more popular amongst younger women. They often have enough volume with minimal sag, but enjoy the mild lift and anti-ageing properties these threads offer. As age-related changes in the facial skeleton, muscles, fat and skin become more apparent the need for anchoring threads arise. Different types of threads can be used simultaneously or alternatively. Addressing heavy brows, nasolabial folds, loss of midface volume and the inevitable development of jowls often require a variety of products and or procedures. Dermal fillers/ anti-wrinkle injections/ lasers and chemical peels can be combined for optimum results.